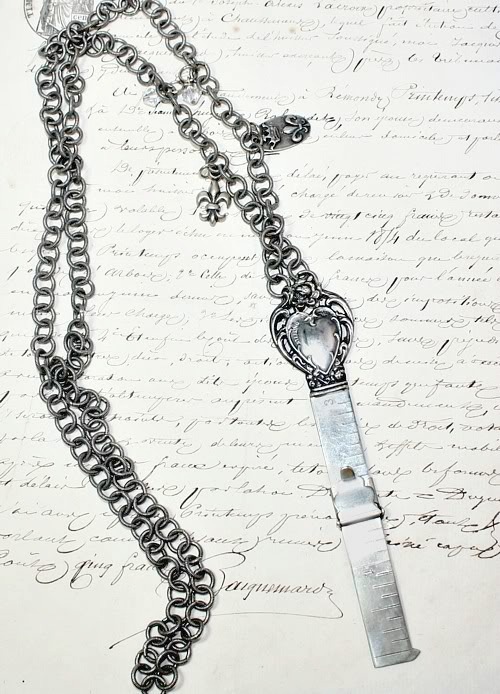 Gorgeous Victorian Sterling Chatelaine Hem Gauge, or Hemming Tool, the top has a beautiful Silver Heart, topped by a glorious Rose, the measure part is plated. Hemming was a rather tiresome task for Victorian women, but it was made easier with the hem measure and its sliding guide. The measure is marked up to 3". Hems were rarely 3" wide, so the slide was easily moved to the hem depth desired, allowing the seamstress to guide her work of pinning the hem. 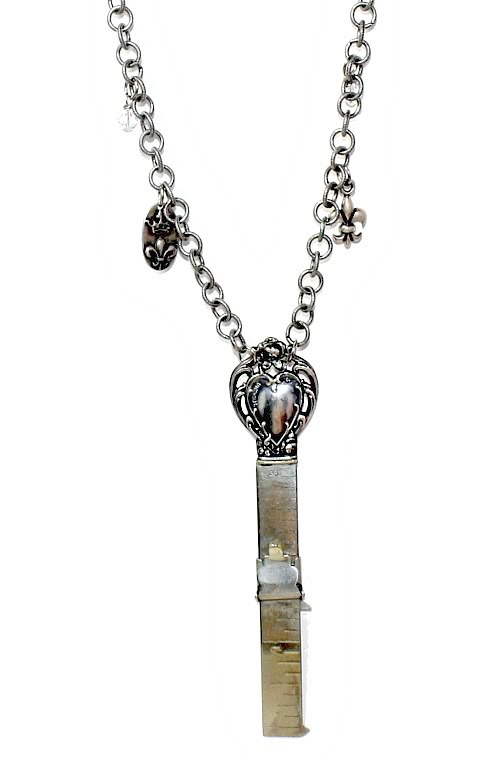 Part of the luxury sewing tools for a fine lady long ago, this is now a wonderful charm necklace for those of you who have fond memories of your Mom sewing, or your grandmama. 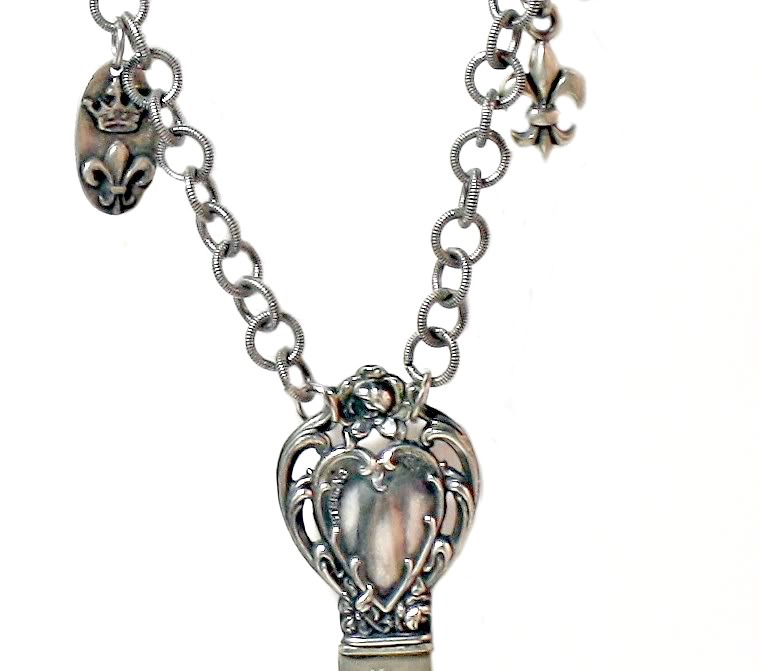 Includes a silver plated chain, two Sterling charms of French fleur~de~lis, and a crown, two sparkling Swarovski Crystals for extra sparkle. A fabulous gift for a seamstress you love, or for you!